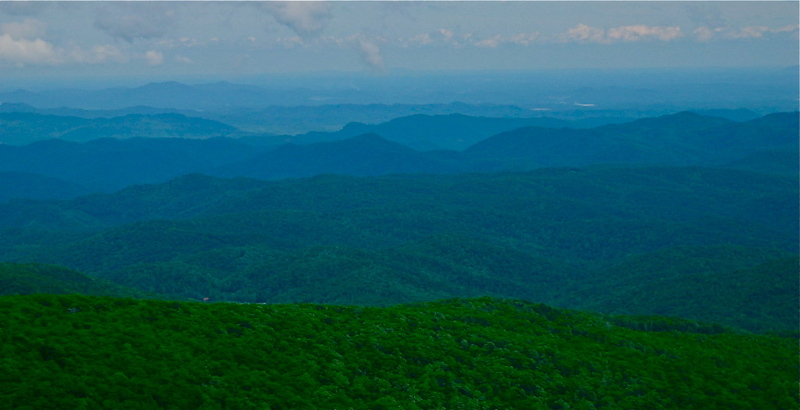 Enjoy the gorgeous view of the Blue Ridge Mountains. Instead of relaxing and enjoying North Carolina, we are frantically preparing to leave. The list of things to accomplish seems to grow instead of shrink. Mom came over and helped clean the house to ensure everything is tidy and in order before we leave. I need to change our addresses on our bills, sell my car and a host of other really boring things. If we don’t get to see you before we leave, we are sorry. Please keep in touch. FYI – After the previous post, we have given up on the slanted Aerobed and have moved to the neighbor’s spare bed.